You've probably heard about all the problems with Microsoft's new Surface Pro 4 and Surface Book – well the good news is that another one, pertaining to issues with the display driver, has been fixed. The fix was announced yesterday and has now been released via Windows Update, as spotted by Microsoft News.com. Essentially, this is all about the display driver crashing at irritatingly regular intervals (several times a day, according to some users), so it's certainly good to see a remedy arrive – although it took a while, as reports of this have been floating around on the net for some time now. This is actually a pair of updates listed as a 'System Firmware Update' (or 'System Hardware Update'), with the first being the HD Graphics 520 driver update (v20.19.15.4326) which is supposed to improve display stability. There's also the Surface Display Calibration driver update (v1.1.381.0) which supports compatibility with the updated graphics driver, according to a post by Redmond on the company's answers.microsoft.com forum. This fix will be rolled out gradually, so if you aren't seeing it under Windows Update yet, then you should do before long. Another major display problem with both these new Surface devices was also remedied a month back, namely an issue where the screen was flickering on and off in a seemingly random fashion. There has certainly been no shortage of issues with the new hardware, and indeed some of the firmware updates Microsoft has fired out have caused new problems instead of just fixing things, leading to criticism that Redmond is pushing out too many updates too quickly, when they should be more thoroughly tested. 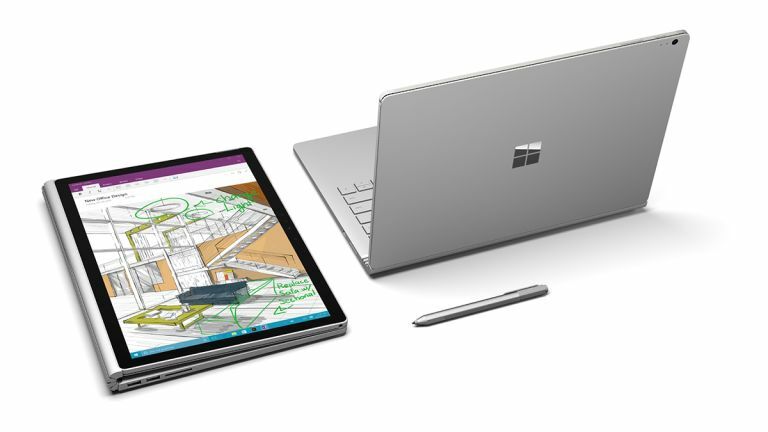 Also check out: Surface Book vs Surface Pro 4: which Microsoft tablet is right for you? Redmond is reportedly thinking about opening its first UK store. Will Microsoft’s 'ultimate laptop' disappoint us with its gaming performance?